We hope everyone had a wonderful Fourth of July complete with fireworks, good food, and good times. 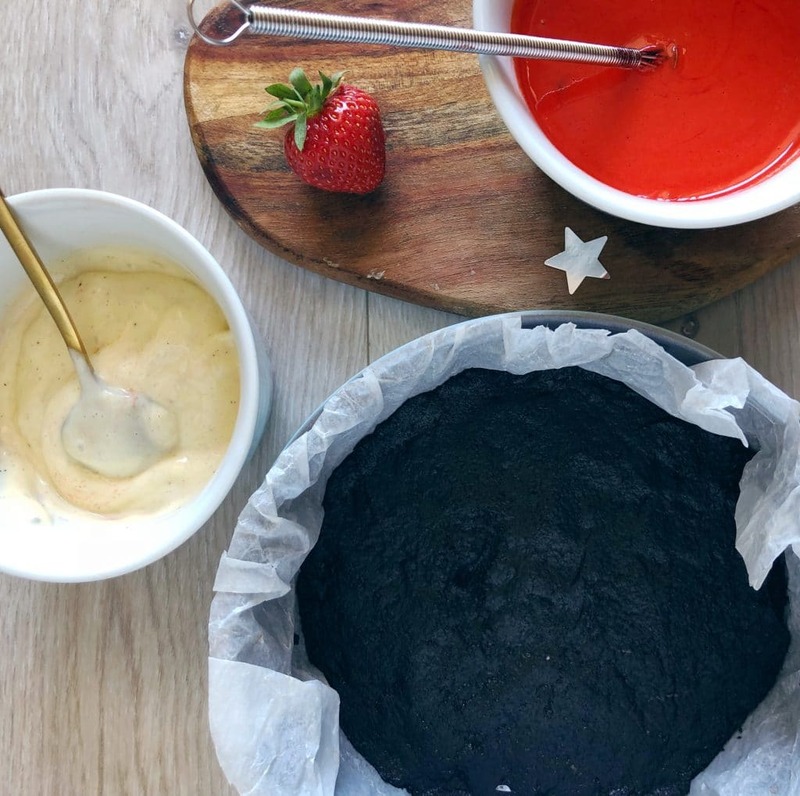 Other than the exciting events and being in good company, what’s really fun about the Fourth are all the fun American themed things you can make in the kitchen! Yesterday, I saw many representations of this and it got me excited to share my very own USA themed dessert! Actually, it’s a pretty simple dessert and you don’t need the fourth as an excuse to create it. We hope you enjoy these bite-sized cheesecakes (no need to only have only 1!). With simple ingredients (most may already have everything in their pantry!) all you need is a little bit of time, and a little dash of love put into this recipe. Besides, who doesn’t love a good cheesecake? Life’s too short not to indulge every now and then! Preheat oven to 325. Make the crust by processing whole Oreos, then incorporating melted butter. 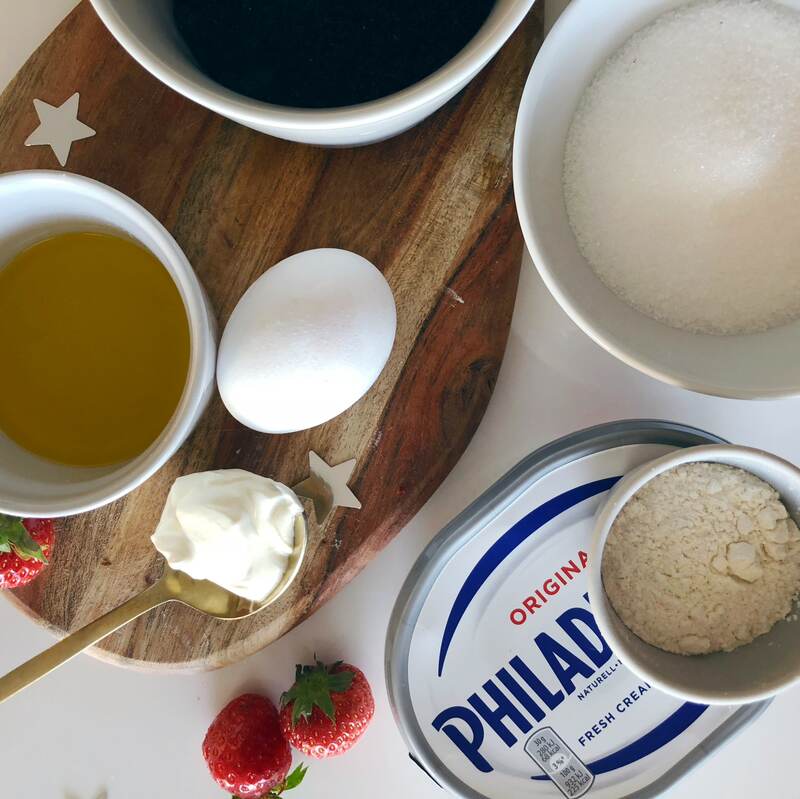 Add baking paper to a small round (or small rectangular) pan, and pack down Oreos using the back of a spoon or the flat side of a cup. Bake for 10 minutes, remove and cool. Keep oven at 325, and place a pan filled with water towards the bottom of the oven (cheesecake will go above placed on a rack). 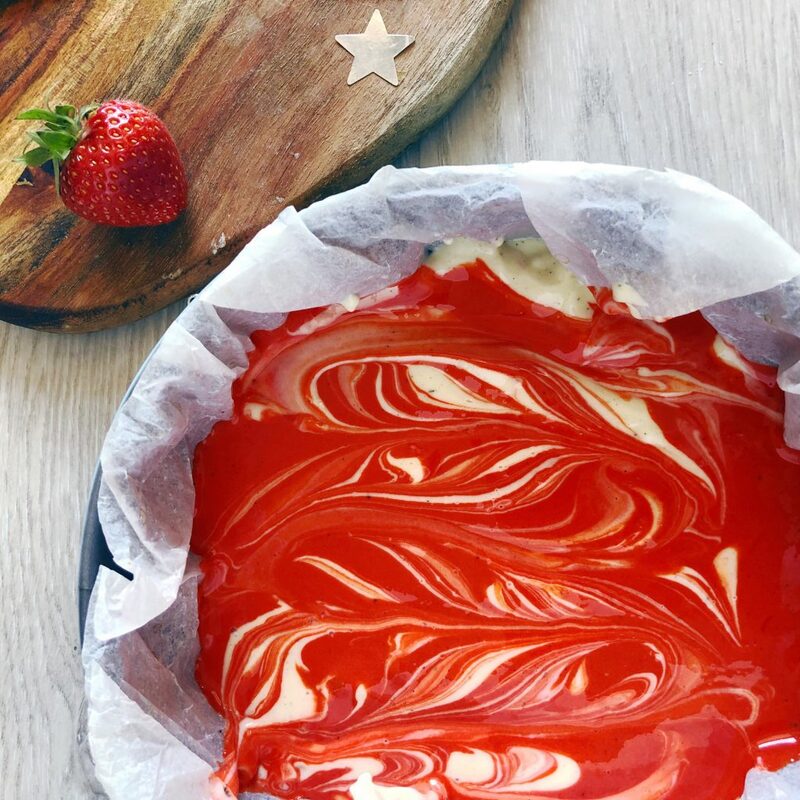 To make the cheesecake, start by mixing the sugar with the cream cheese to a creamy consistency. Add sour cream, flour, and egg – beat until combined. Divide batter into 2 bowls, and add red food coloring to one – mix to combine. Add mixture to the pan with the crust, spooning the colors, alternating. By using a knife, drag through the batter creating a swirl effect- don’t swirl too much or batter will become pink. Place the pan in the oven (on the rack above the pan with water) and bake for 45 minutes. Remove from oven and cool for 30-60 minutes before cooling in the fridge for at least 2 hours. 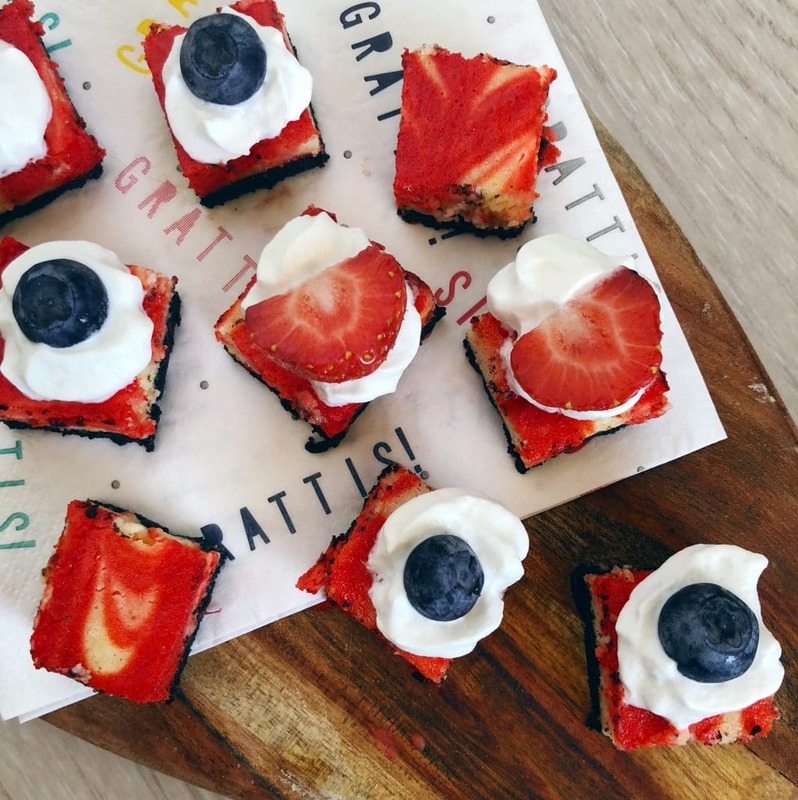 Cut into bite-sized pieces and top with whip cream and berries. What’s nice about these bites, is that they are easy to transport, and dare I say…easy to eat. You can’t just have one, trust me!